Whether you’re looking for a hostess gift or it’s something small you seek, stocking stuffers are not to be overlooked! Just in case you’re down to the crunch on what to get this year, here’s a few gift ideas that are so cute you’ll want to put them in your pocket. And, some of them are teenie enough, you actually could. Good luck with all your holiday shopping! Everyone likes a game of Monopoly. 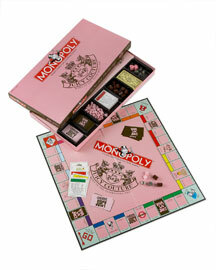 For the ultimate fashion fan and Monopoly aficionado, you can’t go wrong with this pretty in pink Juicy Couture Monopoly game set. Available at Scottsdale Jean Company, www.scottsdalejc.com. I’ve long adored Too Faced cosmetics. So I about flipped when I saw this quite genius, and quite personal, “design your own pallette” offering. The entire pallette is completely customizable; just select your desired shades (which include a face color, duo eyeshadow and mascara or lip gloss option) and finish by personalizing the cover. Makeup divas will be in heaven. Checking your teeth for leftover anything is very important business. Which is just another reason why your compact should reflect that and be just as elegant as you. 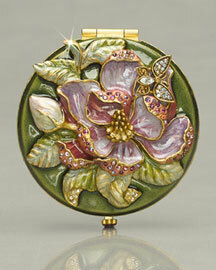 This Neiman Marcus Jay Strongwater “Magnolia” compact is prim, classy and cute enough you’ll want one for yourself too. Hey, if you have to shop for your twice-removed third cousin, there’s no reason you have to leave your pet out of the festivities! 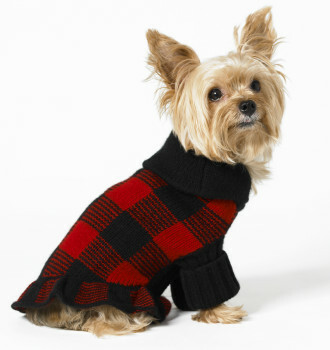 I know Lola would look darling in this Ralph Lauren cashmere sweater. It’s cold, after all, and who doesn’t love a little cashmere? 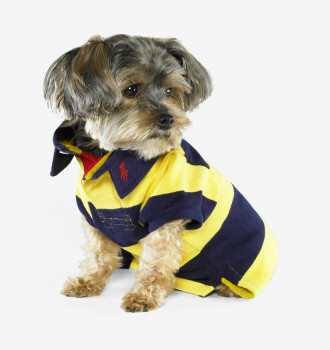 If I had a boy pup around, I’d snap up the stripe mesh polo (below) too. They’d make quite the dapper dogs! Tis the season to truly sparkle. 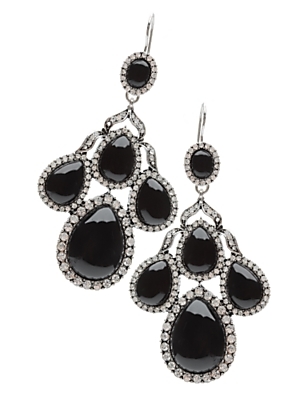 And you can’t go wrong with a little glitz in the form of jewelry, like with this pair of Lee Angel crystal drop earrings in black. For more holiday gift ideas, pick up your December issue of Arizona Foothills Magazine. Margherita Missoni is ruining her mother’s name. If you must wear fur, please at least stick with a mammal that’s not likely to wind up as the family pet.